Five years after their groundbreaking debut album "Enta Da Stage", a reunited Black Moon deliver their eagerly awaited follow-up, WARZONE. As they did on ENTA DA STAGE, Buckshot, 5Ft. and Evil Dee return rap music to its old school roots. The fourteen tracks here sacrifice neither new school beats nor true school lyrics, however. 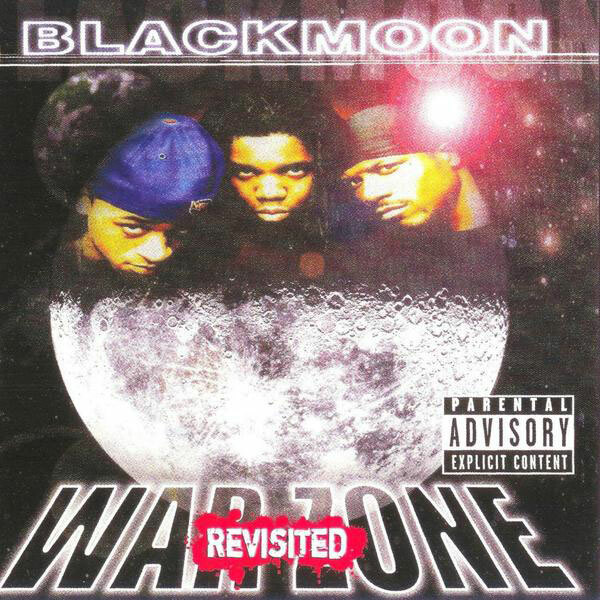 Black Moon gives hip-hop the raw elements of emcee skills and full-frontal production that rap music often trades for commercial success. On the lead-off single "Two Turntables & A Mic," Black Moon prove their integrity by paying homage to the elements on which hip-hop was built. None of this is stale--even though the three are cooking with an old recipe, the result is still fresh and new. With WARZONE, Buckshot upholds his reputation as a well-respected lyricist while the 5Ft. MC helps heat up the tracks with performances like "Anialation." Other tracks worth a shout out include the Cocoa Brovaz-blessed "Shake Your Frame" and the club-rocker "Showdown," featuring Q-Tip.